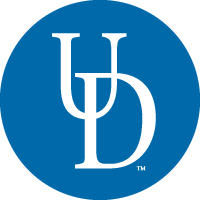 The University of Delaware’s online Master of Science in Applied Statistics is designed for working professionals from a range of occupational and educational backgrounds. The flexible online format enables students to continue working while earning their degree and immediately apply what they learn in the classroom to their work environment. The program requires students to complete a minimum of 30 credit hours of graduate-level coursework, divided equally between core and elective courses. Students obtain training in theoretical statistics through courses that cover the disciplines of probability and mathematical statistics, and training in applied statistical techniques through courses that include regression, experiment design, multivariate analysis, logistic regression, and data management. Students acquire experiential training through case study and an optional research project. The program is divided into semesters with each course spanning fifteen weeks. Most students will complete the program on a part-time basis, taking from 3 to 10 credits per semester, depending on their work and other obligations. Students who are not working are permitted to take up to three 3-credit courses and one 1-credit course per semester. New students are assigned an Advisor who will provide advice concerning course selection based on the student’s interests, professional experience, and educational background. Simple linear and nonlinear regression. Subset regression; principal component and ridge regression. Introduction to experimental design and design models. Explores the main topics of multivariate statistics, including principal components, discrimination, classification procedures, and clustering techniques. Emphasis on how to identify the correct technique for a given problem, computer packages for its computation, and how to interpret the results. Fundamental principles of design, randomized designs, Latin squares, sources of error, components of error. Factorial designs, response surfaces, models for design. Basic probability, De Morgan’s laws, conditional probabilities, Bayes’ rule; discrete and continuous distributions; Bernoulli, Binomial, Poisson, Normal, Gamma and Cauchy distributions; transformations; joint and marginal distributions; moment generating functions; sums of independent normal and Gamma random variables; Chi-squared distributions; the Central Limit Theorem. Definition of a statistic; distribution of common statistics; sampling, maximum likelihood and moment estimators, unbiased estimators; hypothesis testing, Type I and Type II errors, one- and two-sample tests for the mean; categorical data, the Chi-Squared test; simple linear regression, ANOVA table. Statistical procedures valid under unrestrictive assumptions; scales of measurement; efficiency comparisons; signed rank procedures; two-sample rank tests; zeros, ties, and other problems of discrete data; order statistics; k-sample procedures; nonparametric measures of correlation. Statistical techniques used in the analysis of censored data including the Kaplan-Meier estimator, the analysis of one, two and K sample problems, and regression analysis based on the Cox proportional hazards model. Process variation, sequence plotting, control charts, cumulative sum process control procedures; process capability studies, acceptance sampling, quality management and organization, and trouble shooting using graphical techniques. Research designs, review of inference and regression, categorical data, logistic regression, rates and proportions, sample size determination. Additional topics such as nonparametric methods, survival analysis, longitudinal data analysis, and randomized clinical trial may be covered. Independent work as specified by the Faculty Adviser. Research as approved by the Faculty Supervisor. Restrictions: Approval by Faculty Supervisor. Provides an in-depth understanding of using computers to manage data, using programs such as SAS and Microsoft/Access. Practical and computational introduction to logistic regression and related topics. Applications include financial, marketing and biomedical research. The use of SAS and other statistical packages will be emphasized.